We gather weekly to worship God, giving honor, praise, and glory to our Lord and Savior Jesus Christ. We declare the goodness of God through prayers, songs, and sermons. We thank God for the unceasing love, mercy, and grace that’s been extended to us, singing hymns of adoration and thanksgiving because nothing—no one, nothing, and no deed—can separate us from the love of Christ. But, do we really believe this? Do we truly believe that no offense, sin, or crime—regardless of how heinous—can separate us from God’s love? If we soberly search our hearts, many of us question and doubt this. 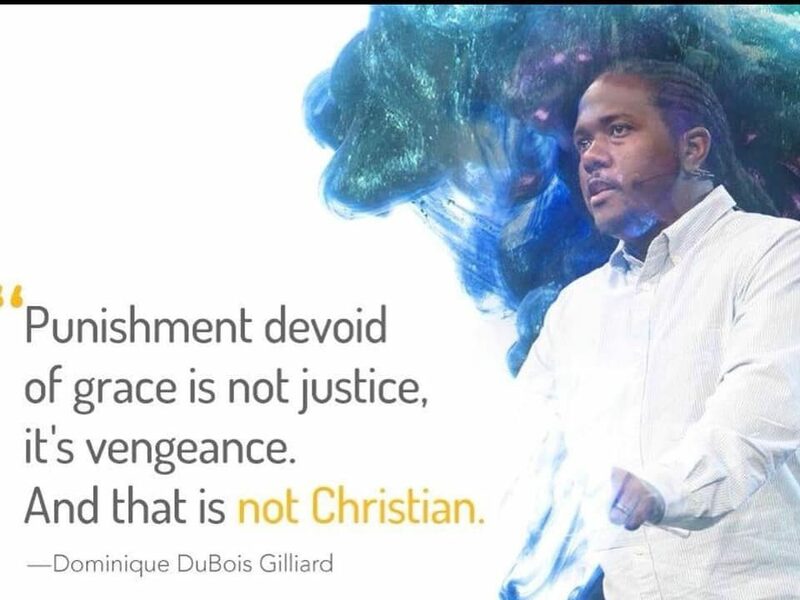 We wonder, Can a person who has been convicted of mass murder, pedophilia, or human trafficking truly be transformed, redeemed, and reconciled to God? While these are extreme examples, given that most incarcerated people (73%) are serving time for nonviolent offenses, this is still a vital question for the Church to grapple with. We either believe that no one is beyond redemption, or we don’t. There’s no middle ground.